You all know me well by now, and I had to dedicate a post to our holiday in the Highlands and Skye showing pictures of just the sea and lochs and blue skies. It feels as if we are have had rain here non stop for the last few days! Picture taken from Skye. In the distance the island of Lewis and Harris. We saw movement in the water in the picture above we thought it might have been some sea otters, sadly it turned out to be just birds. A stunning deserted beach of white sand at Achmelvich and we found a starfish at the edge of the water luckily it went back out to sea with the tide. I had never seen a starfish on the beach before. The previous day we had seen the story of the starfish in a great teashop in Dunkeld the story is told by Loren Eiseley (1907-1970) who was an American antroplogist. The red sands near Applecross. In the distance are the majestic purple blue peaks of the Cuilin mountain ridge in Skye - an amazing sight! I could have spent the rest of my holiday here sitting on the decking and overlooking the sea and mountains. The lochs (scottish for lakes) were just as scenic, even when it was raining. The picture above is Loch Ness. The weather added to the atmosphere! The last loch we visited before returning to Edinburgh. We did meet the notorious midge, our first meeting was at the Falls of Shin where the sky was full of them and they followed us back into the coach. Luckily this was our worst encounter and it helped once we were told it was better to move around rather than stand still. We were also surprised how light it stayed in the evenings we were going to bed at 10.30 in daylight and I never saw the night sky during our break. I love reading and usually on average read a book a week before I go on holiday I like to read books that are based around the area I am staying. These are the two books I read for our Scottish holiday. Does anyone else do this too? 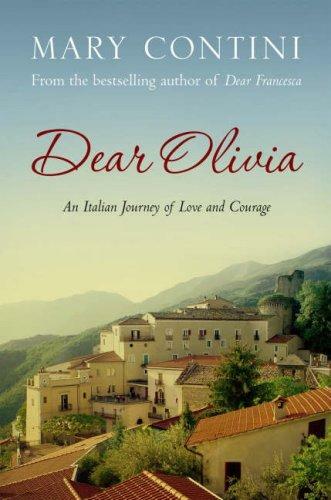 The first one I read when we first booked our holiday Dear Olivia describes the life of an Italian family emigrating to Edinburgh during the Wars and the struggles they had in setting up their business selling good food. It was a great read and would thoroughly recommend it. The second book Sea Room I picked up in Oxfam and read it while we were travelling. Of course the title and picture captured me initially, but then when I looked at I discovered it was written by Adam Nicholson (husband to Sarah Raven) and describes the love of the Shiant Islands a trio of Hebridean Islands. It made me appreciate how difficult life can be living on an island. Hope we all see some sunshine soon , how long can this wet weather carry on?Welcome to my new followers Connie, Villa Lotta, Helen, Julie, and Foxglove Lane, thank you all for following me. Wonderful photos of your recent holiday. It looks so peaceful and tranquil near the lochs - a place to unwind and relax. What colours! What shapes! What a holiday! Thoroughly appreciate the starfish story. Your photos and images are spectacular. I love the story of the star fish and how true it is. We can make small differences each day. Now I want to go to Scotland. Gorgeous photos! And I loved the story about the starfish - what a metaphor for how we should live our lives! As I had forgotten the story about the Starfish and you brought it back to me. Again your pictures capture all the wonder and the Star fish Fable is awww so true! Have a week of the kindest! very glad I found your blog so that I see the pictures from scottland, just wonderful! I one of our next holidays we like to visit scottland, so everything about it is very interesting for me. Many years ago we visit Lyme Regis and Dorset, really beautiful, you can be so lucky to live there. P.S. I put you to my bloggroll, hope it's ok.
What a lovely post which transports me up to beautiful Scotland. I love photo No. 4 it is stunning. I came to your via Madelief. Oh Sarah, those are beautiful photos. Also thanks for the recommended books too. I was just in the bookstore and looking for a nice summer read. Have a wonderful day. This sounds like the perfect holiday to me, the views are so beautiful. I really enjoyed looking at your wonderful photos. I'm curious about one of the books you mention "Dear Olivia" and have just reserved it through my library. I love your pictures of Scotland – the scenery is stunning – it reminds me of Newfoundland in Canada – I think you would like it and there and not too many people are there either. I always wished to go to Scotland but never did. When I went to Paris to see my parents I tried to stop in London many times but it was usually in winter or spring so I thought Scotland would be too cold and rainy, but maybe it is not so bad in March or April? The landscape in Scotland is really outstanding. I'm not sure about Scotland in March or April. I assume it would be a bit colder than here. We saw so much heather on the hillsides it must look amazing in August and September when it is all out. Stunning photos Sarah! - I'm already "saving" books for my holiday in October! what beautiful photos of a beautiful area! thank you so much for sharing them. so much history there, too. it looks totally charming. Your photographs are stunning. I have never been to Scotland, but it is high on my list. Neighbors just returned and another neighbor is leaving soon. At our 4th of July party, I listened eagerly as one described everything that must be seen and done. Thanks for the vicarious visit. I love your post - it brought back happy memories of our trip to Skye when you still went across by Ferry! I fell in love with the wildness and stunning countryside which you can see in your beautiful photographs - – we stayed first at the Braes near Portree and then out at Dunvegan in a cute little cottage with painted boarding in the dining room. I loved the boarding so much that we have now done something similar in the cottage that we are renovating lower down in the South of Scotland on the Mull of Galloway. Now I have discovered your blog I will keep popping back to read more. A village lost but not forgotten. The Olympic torch procession reaches Dorset!